Strong Steel Frame (75 X 75 X 1.5 Mm.) With 80 Kg. Heavy Duty Cast Iron Plates For Smooth & Dynamic Movement. Bi-angular Press Arm With Ergonomically Designed Multi-grip Handles And Adjustable Starting Position. Multi Position 180°arcing Functional Training Arms, Synchronized For Easy Adjustments Provide The Widest Range Of Cable Exercise Including A Low Row Station. 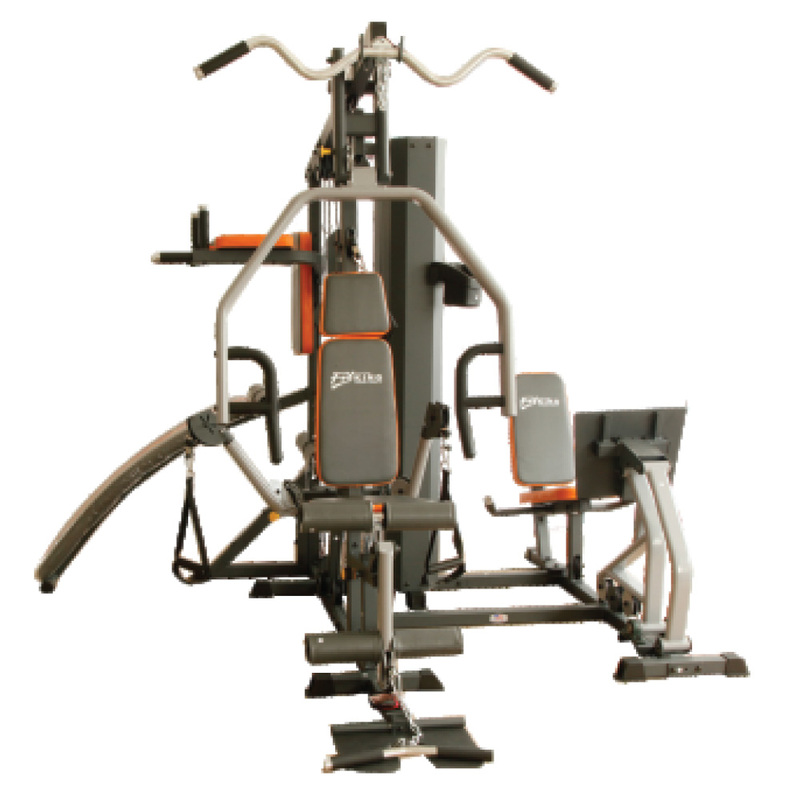 Dedicated Seated Row Arms With Adjustable Chest Support. Convenient Seated Leg Extension And Leg Curl With Extra Thick Roller Pads. Telescoping, Back Rest Cushion With Adjustable Tilt For Proper Support And Alignment.